Last week, Eminem released his ninth studio album Revival. The new album consists of 19 tracks and features popular artists such as Ed Sheeran, Beyoncé, Alicia Keys, Skyler Grey and P!nk. Revival is Eminem’s first album to drop since 2013, during which The Marshall Mather’s LP 2 album was released. Eminem’s new album has quickly gained popularity over the past few days from his growing fan base of individuals from all over the world. The album Revival offers a wide range of lyrics based on his thoughts and emotions toward a variety of sensitive subjects. Throughout Revival, Eminem touches base on how he feels about Trump, his ex Kim, racism, Hailey, drug addiction as well as his own insecurities he faces on a daily basis in the music industry and from regrets in the past. Eminem raps about the lack of self-confidence he endures from writing, to listening to the final outcome of his music. His music career of nearly 20 years, since the release of his first album, seems as if it is going downhill due to letting down fans and not meeting certain expectations. This is a growing concern of Eminem’s. He reasons this could be because of flawed lyrics and rhymes that aren’t met to fan’s expectations. But it’s clear throughout Revival that self-confidence and worth isn’t the only subject Eminem struggles with; the mistreatment he showed toward Kim and the interference of their relationship with Hailey is also mentioned in the new album. Songs such as “Bad Husband” and “Castle” go onto list the regrets Eminem made with the way life itself turned out for the three of them. The Detroit rapper talks openly about the abuse and mistreatment Kim and Eminem constantly threw toward each other while in their relationship. The song “Castle” opens up to the regrets and wrongful decisions of placing Hailey into the position she was in as a child, growing up with all the negativity that Kim and Eminem brought out. He explains the pain he deals with on a daily basis because of the childhood he created for her. While Eminem raps about the strong emotions that opposed past mistakes and regrets, he strongly touches base on past drug addiction, Trump and racism. The track “Arouse” discussed Eminem’s near-fatal drug overdose back in 2007, from methadone and the final thoughts that reoccurred in his head to the near death experience. “Like Home,” “Believe” and “Heat” personalize the rapper’s belief on the growing problem of racism and Trump’s wrongful actions and words since taking his place in office. 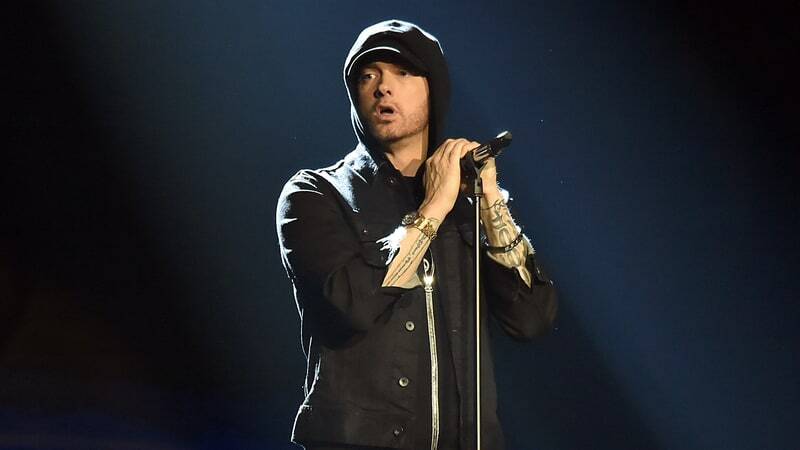 Eminem’s empowering songs and lyrics help to detail the rapper’s emotions and feelings in life from circumstances in the past, present and future that he’s experienced. The deep rooted connection he shows the world after dealing with hardships in life as well as the mistakes he made can really be felt in Eminem’s Revival.